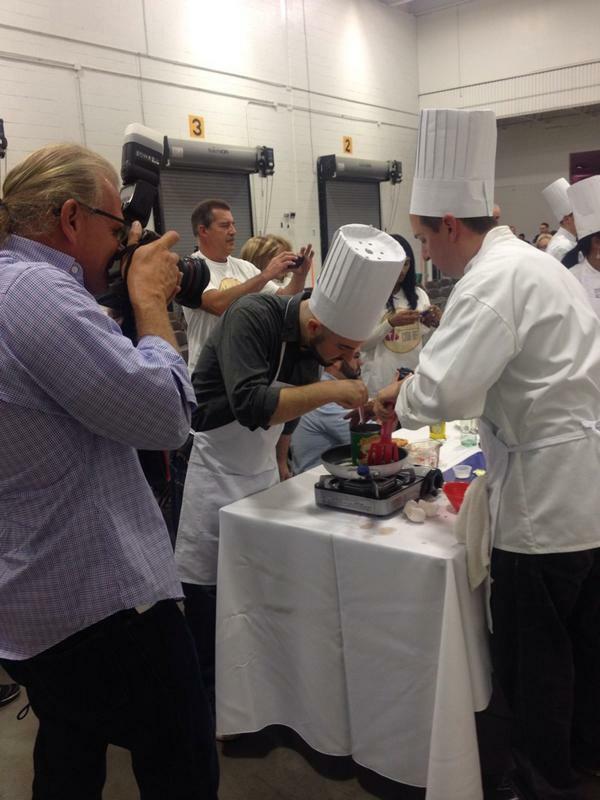 Earlier this month, our resident chef, Ben Witten, mentored a team from GrayHair Software to victory in “The Hunger Games”, a charity cooking event that raised $15,000 to support child nutrition programs at the Food Bank of South Jersey. The contest provided seven teams with a typical box of food from the food bank. Audience members could also “buy” (i.e., make a donation) additional items to help their favorite team. The dish surprised the judges by surprise with the simple elegance of its flavors. As Ben’s brother, I am not surprised. I can see his influence as a team mentor. While I have never had this particular dish, I have had eaten many varieties of vegetable hash that he has prepared for breakfast. They are simple. They are elegant. They are flavorful. And, they all taste like victory. SOURCE: South Jersey Times (Kelly Roncace) and my proud sister-in-law.